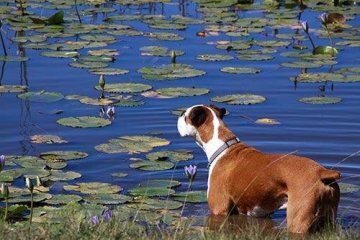 Farm Stay Pet- friendly and self catering farm accomodation on the edge of the Knysna forest where 800+ year old Yellowwood trees live. 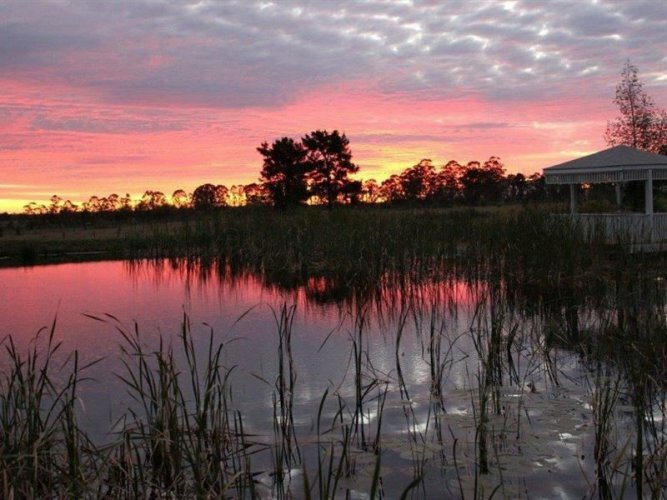 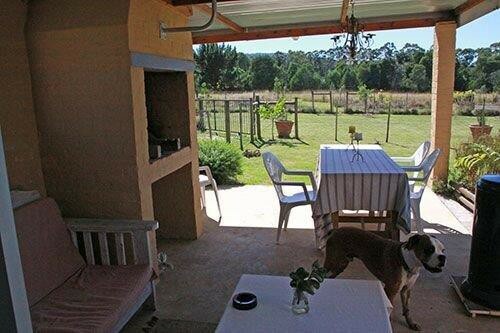 Nieu-Wherry Meadow offers lovely Pet- friendly self catering accommodation on a farm at the edge of the Knysna forest. 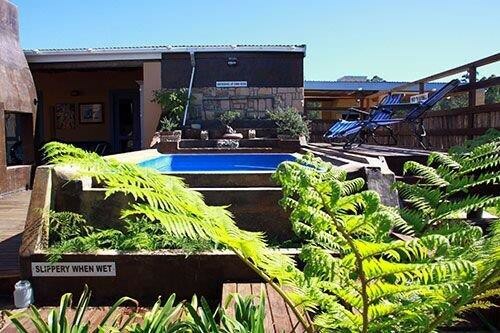 When staying at Nieu-Wherry Meadow you are in the ideal location to enjoy a totally tranquil getaway while still being close to the main attractions and activities in Knynsa and its surrounding areas. Choose from our pet friendly family units or our double room. 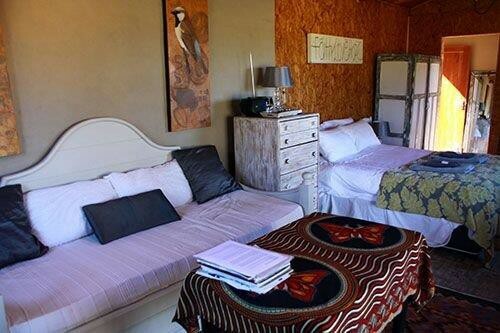 Each room is equipped with a coffee / tea stations, microwave oven and a fridge. 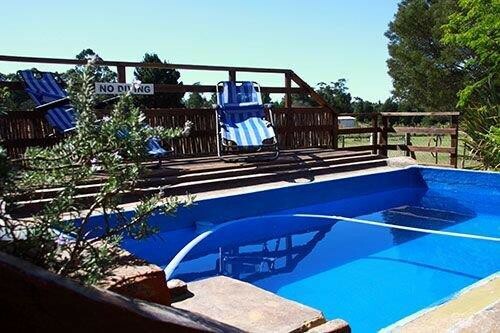 While here you can make use of the comfy outdoor furniture and the swimming pool. 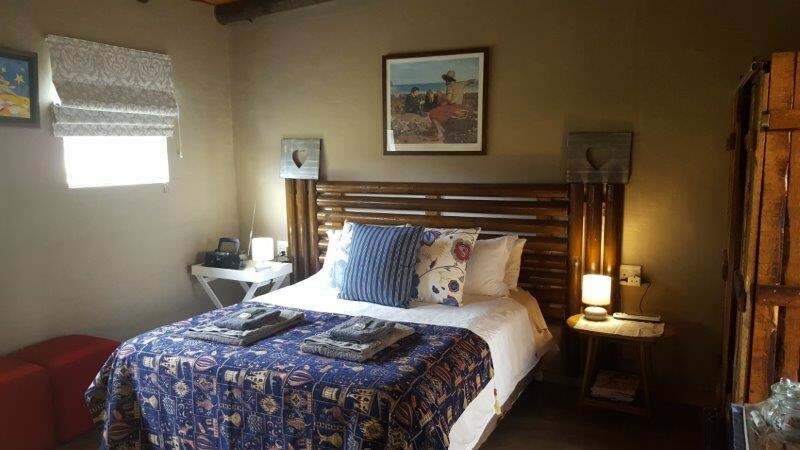 The family room has a kitchenette as well as an en suite bathroom, queen size bed and sleeper couch. 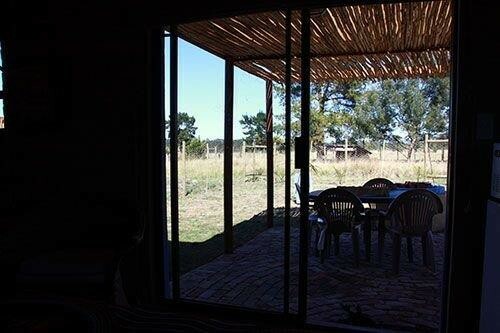 There is also a separate undercover braai with dining / lounge area. 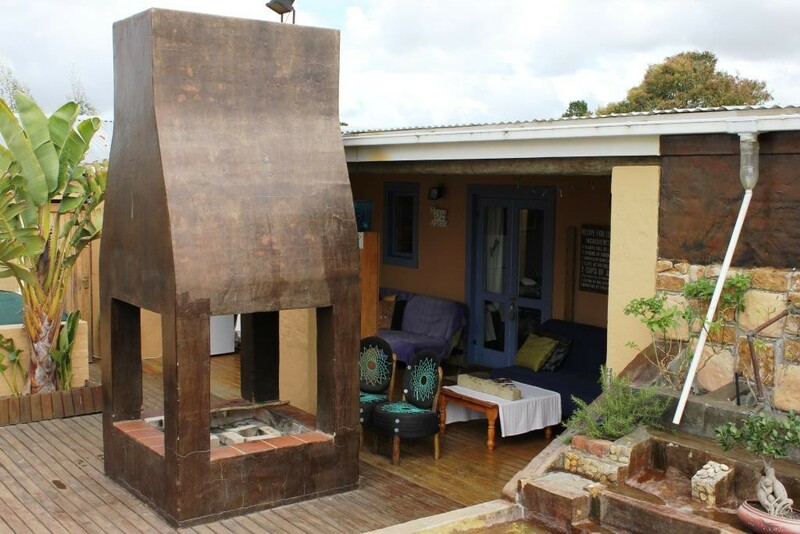 Double bed, self-catering kitchenette, en-suite bathroom and undercover braai with lounge / dining area. 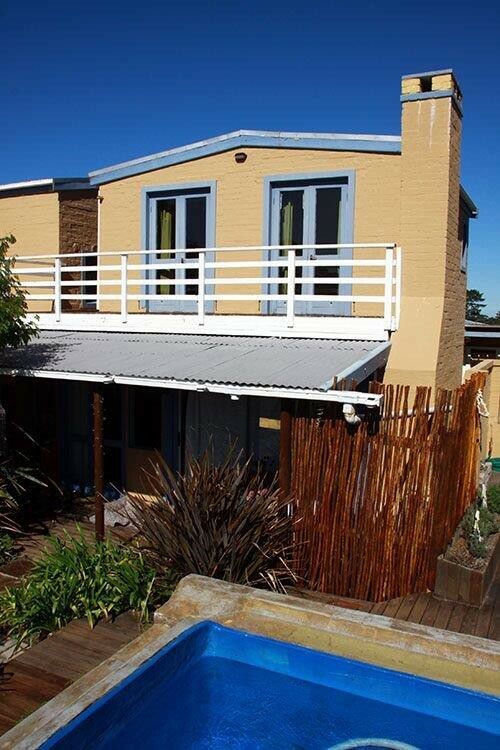 Double storey flat - it has an en-suite bathroom, queen size bed, two single beds, kitchen, indoor braai and open plan dining room and lounge. 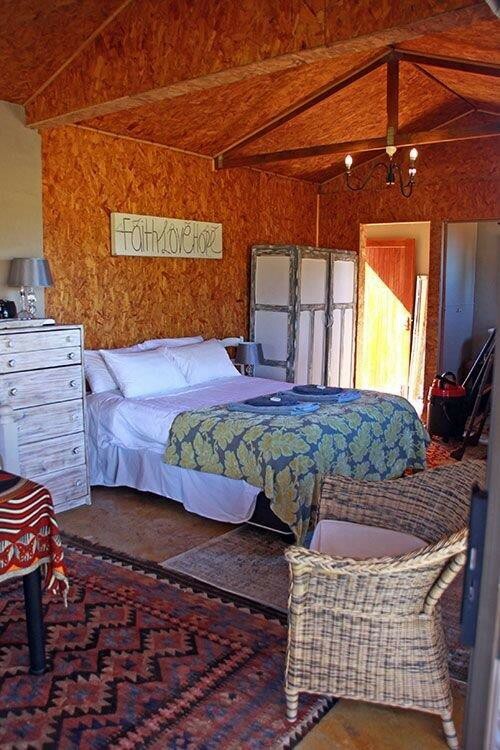 It has a kitchenette as well as en suite bathroom, queen size bed and sleeper couch. 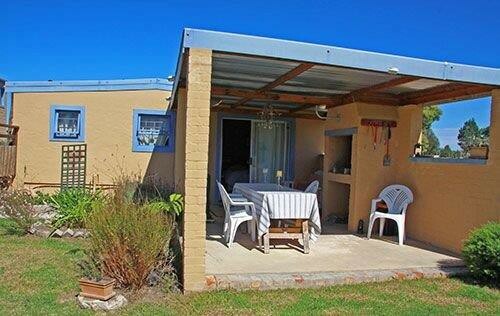 It also has a separate undercover braai with dining / lounge area.